This past Sunday marked the end of Taking Back Sunday’s consecutive weekend performances at the Dallas House of Blues. The punk rock band is currently celebrating its 20-year anniversary with a world tour and its new album “Twenty,” which archives some of the band’s most formative hits since 1999. Their March 31 performance in Dallas was the sixth of seven Texas shows. Frank Iero and the Future Violents kicked off the night with 45 minutes of dark and angsty punk that warmed up the crowd. The band, comprised of former My Chemical Romance guitarist Frank Iero, lead guitarist Evan Nestor, drummer Tucker Rule, bassist Matt Armstrong and multi-instrumentalist Kayleigh Goldsworthy, is accompanying Taking Back Sunday through mid-April. Iero’s vocals ranged from soft to full and booming, often meshing the two in one song. The band’s dynamic embodied the rapid and chaotic tempo that characterizes punk music while still maintaining order through rhythmic choruses. As Taking Back Sunday’s lead singer Adam Lazzara, guitarist and vocalist John Nolan, bassist Shaun Cooper and drummer Mark O’Connell took the stage with touring guitarist Nathan Cogan, they dove right into “You Know How I Do” from their studio album “Tell All Your Friends.” The set list for this tour was curated differently than most. Rather than assembling a list strictly from their biggest and most recognizable tracks, they instead performed their debut album in order, front to back. Audience members were granted the unique opportunity to experience the entirety of an album live, making the concert especially meaningful to long-time listeners. The concert reminisced as Taking Back Sunday wove through the 10-track record. The crowd sang along to the band’s more notable songs, like the frenetic “Cute Without the ‘E’ (Cut from the Team)” and the harmonic “You’re So Last Summer.” The band rounded out the first half of their performance with the album’s final track, “Head Club,” one of the more hard-hitting and high-octane anthems featuring a deep melodic chorus. 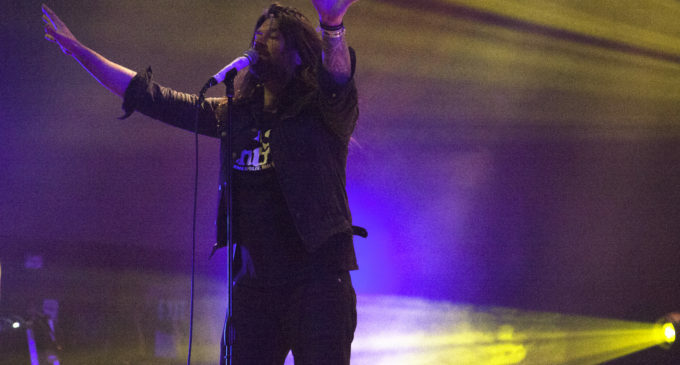 The concert read like a scrapbook of Taking Back Sunday’s memories, with Lazzara pausing to provide personal narratives between songs. Taking Back Sunday then transitioned into the second half of their performance, which they said was decided by a coin toss from the House of Blues show the night before. The toss determined whether they were going to play “Where You Want to Be” or “Louder Now” at the Saturday show. The latter won the toss, leaving “Where You Want To Be” for their Sunday performance. 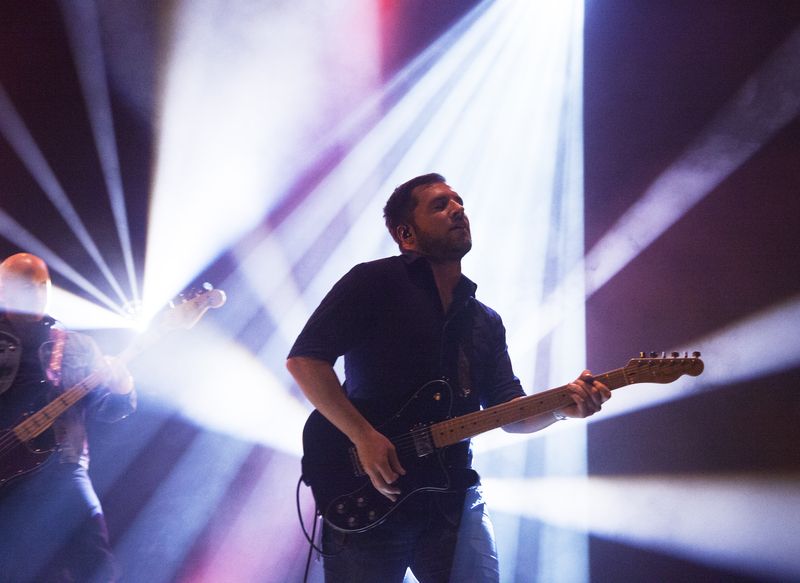 Taking Back Sunday’s touring guitarist Nathan Cogan performs March 31, 2019 at the Dallas House of Blues. Image by: Haley Arnold. As the band wove their way through their second album, Lazzara continued to fuse stories about songwriting, the recording process and funny, personal anecdotes between songs. The performance was as informative as it was entertaining, giving fans a behind-the-scenes look at how they structured their album. The band finished off their set with a few songs outside of the two albums, including “What’s It Feel Like to Be a Ghost?” and their new song “All Ready to Go.” They wrapped up the night with arguably their biggest hit, “MakeDamnSure” from their album “Louder Now,” and an invigorated crowd shot their phones in the air for one last video. Featured Image: Lead singer Adam Lazzara of Taking Back Sunday extends his hands while singing at the Dallas House of Blues on Sunday, March 31, 2019. Image by: Haley Arnold.